The elephant dishes by Georg Jensen is perfect as a Starter Kit for children or as a gift for nephews, nieces, or grandchildren. In the Dinnerware set by Georg Jensen, the elephant motif is visible on the plate and the cup, as well as engraved in the 3-piece cutlery. Food is a lot more fun to eat when it is accompanied by this adorable elephant design. 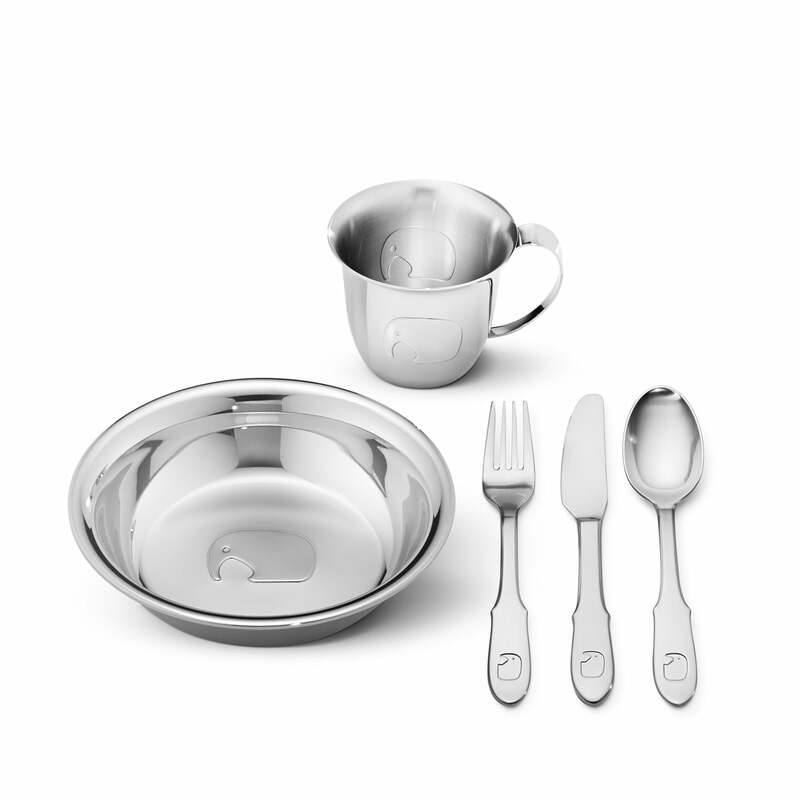 The set is made of highly polished stainless steel and is meant for day-to-day use. The knife has a rounded cutting edge, so that children can't hurt themselves. The characteristic shape of the elephant was designed in 1987 by Jørgen Møller and his grandchild, whose favorite animal was the elephant. At that time, the motif of the elephant was found in the shape of a bottle opener. However, the trademark now adorns a number of Georg Jensen's accessories, cutlery and crockery. I bought a set to be the present for my friend's little children, he love it so much.